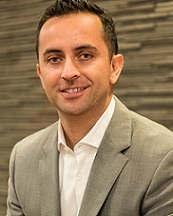 April 8, 2015 --Multicultural Marketing Resources, Inc. (MMR) announces the addition of Steven Millerman, President, EMCAY to its Multicultural Speakers Showcase (http://multicultural.com/Speaker_Showcase/speakers_all). The Showcase, which launched in March 2005, features top multicultural marketing and diversity experts who are available to speak on a wide range of topics at conferences, symposiums, corporate events, training sessions, and other multicultural business and consumer events around the country. MMR's Multicultural Speakers Showcase, http://multicultural.com/Speaker_Showcase/speakers_all, was developed to help conference producers, seminar organizers and corporate meeting planners find keynote or workshop speakers, panelists and trainers. Experts featured can speak about diversity issues and marketing to these consumer groups: Hispanic, African American, Asian American, Native American, Russian, Polish, American Muslim, LGBT, women, minority/women business owners, people with disabilities and others. There is no charge to access the Showcase, which has the speakers' contact information and links to their websites. In addition to these speakers, other experts are listed in MMR's online Experts Directory. For more information on the Showcase, or to book a speaker, please visit http://multicultural.com/Speaker_Showcase/speakers_main or send us an email via http://multicultural.com/about/contact. Multicultural Marketing News (MMR News), is published by Multicultural Marketing Resources, Inc. (MMR). For a free subscription, sign up at http://multicultural.com/mail_list_sign_up.